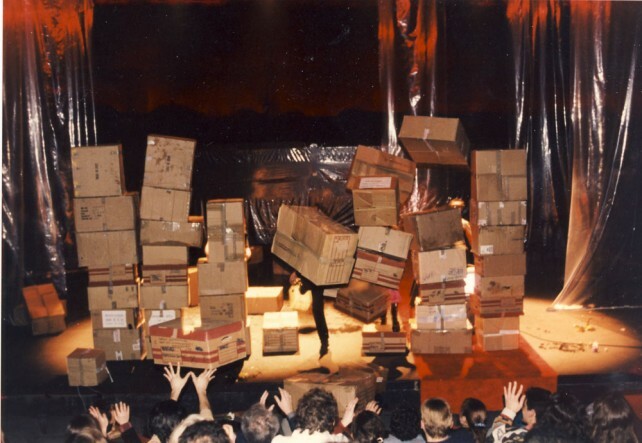 At the end, the performers construct a wall with cardboard boxes in between them and the audience. Theses carton boxes materialize the fourth wall, that one which constructs the representation. But here, it finished (with ) representation, literally and metaphorical. 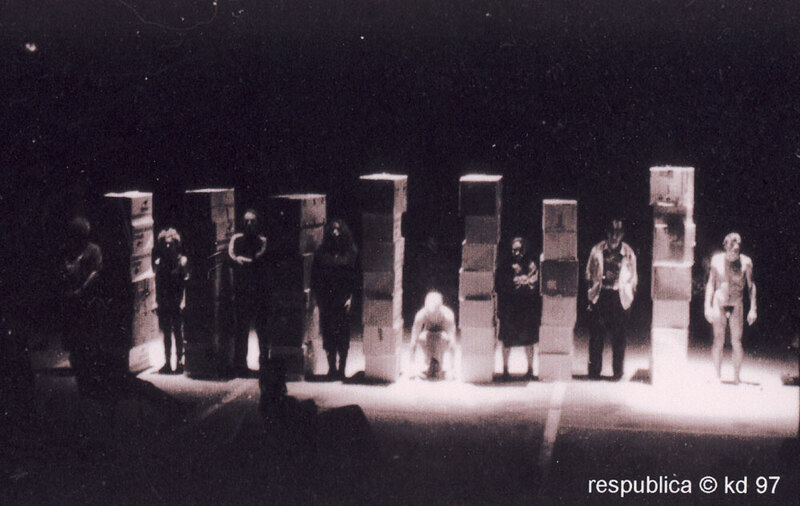 With Sexes, the company res publica goes on with the experience of a theatre of deconstruction. 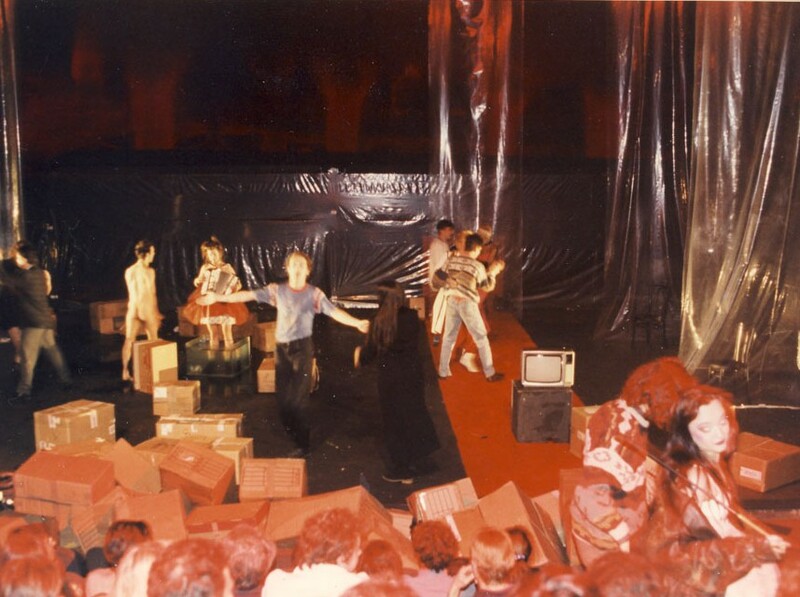 The performers are persons from everyday live, the ready-made actors. ..